Find Polyurethane Parts, Rubber Sleeve, Rubber Strip on Industry Directory, Reliable Manufacturer/Supplier/Factory from China. Cylinder Head Cover is another critical engine part, where fitment, leak proofing are critical requirements. Xinyu Mould manufactures Cylinder Head Cover in fully machined condition from two cylinder to six cylinder applications. The cylinder head cover seals the engine from oil leaks and water or dirt intrusion. Additionally, it has provisions for oil fill and the introduction of EGR gases. This was a repeat alum. die casting die awarded to XINYU MOULD for customer's auto cylinder head cover castings , the original overall size of the gating system was on the large side, which resulted in the increase of energy consumption and the higher production cost. The selected gating system has been optimized by XINYU MOULD, and the thickness of the sprue &the venting system have been improved. Through the simulation software MAGMA, a better size gating system was obtained. The total volume of the optimized casting is 5% lower than that of the original, which is of practical significance for the enterprise to reduce energy consumption, save the cost and improve the production rate. 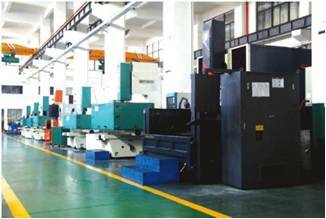 Reasonable selection of die casting process parameters is also the guarantee of producing high quality die castings. 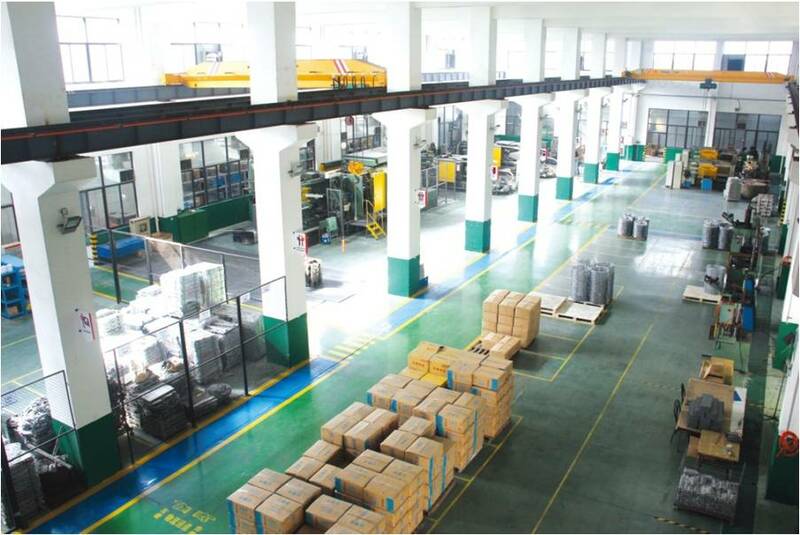 Therefore,the injection speed, die temperature and pouring temperature such kind of parameters were all proposed to the customer by XINY MOULD, and the process parameters guiding the die casting production were finally carried out by customer and achieved a good performance. Since its inception in 1998, XinYu has been developing into a professional die maker , our business field covers such as auto , communication, electric tools , lighting as so on . 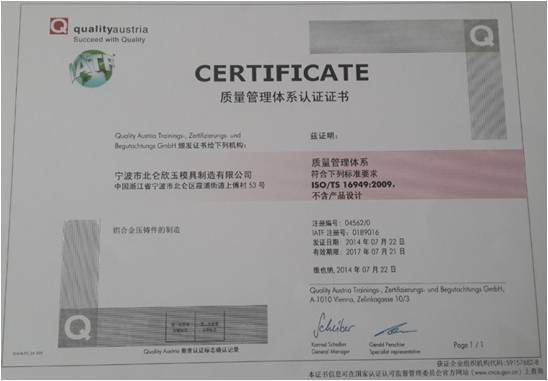 We always adhere to [Quality First, Customer Supreme[ business philosophy , have got a very good reputation in die casting industry. XinYu located in high-end mold industrial complex planned by government covers 8000 square meters and with 12000 floor areas , now owes fixed assets about 80 million RMB,around110 employees, so far we have set up cooperation with many medium and large-sized enterprises, have made over 3000 sets of dies and 3000 kinds of products . We have a nice team focusing on ongoing challenges and constant innovations with professional theoretical knowledge and rich experience, we have accumulated lots of technical and managing experience in designing, manufacturing and inspecting . Now we have formed a very strict technical standard and management process. Thanks all of the customers, Xin Yu sincerely wishes both of us a better tomorrow. 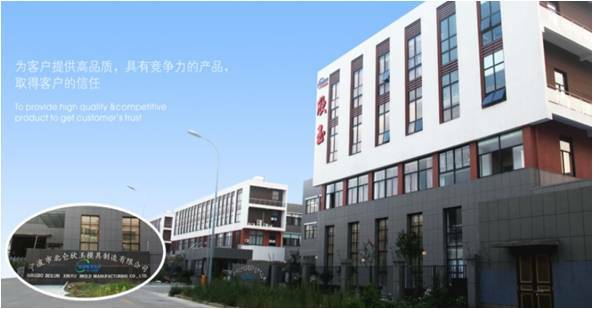 Company Name: Ningbo Beilun XinYu Mould Manufacturing Co.Ltd.